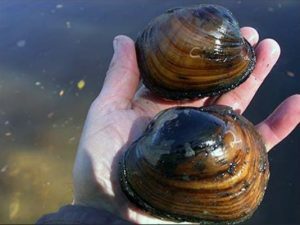 Join us at Lake Iowa Nature Center for a program from Jennifer Kurth, Iowa DNR Natural Resources Biologist, about freshwater mussels of Iowa. Freshwater mussels are good indicators of aquatic ecosystem health, as well as nature’s water filtration system. Learn more about the unique life cycles of mussels, how to find mussels, and which species we have in Iowa.